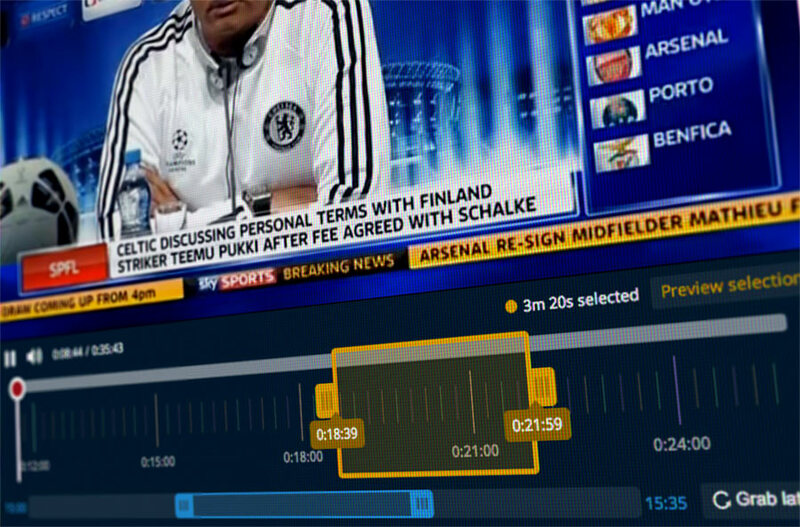 I was the only designer on a team responsible for creating a tool, called Grabyo Studio, for Sky Sports to perform extra promotion on transfer deadline day, one of the busiest days in the football calendar. 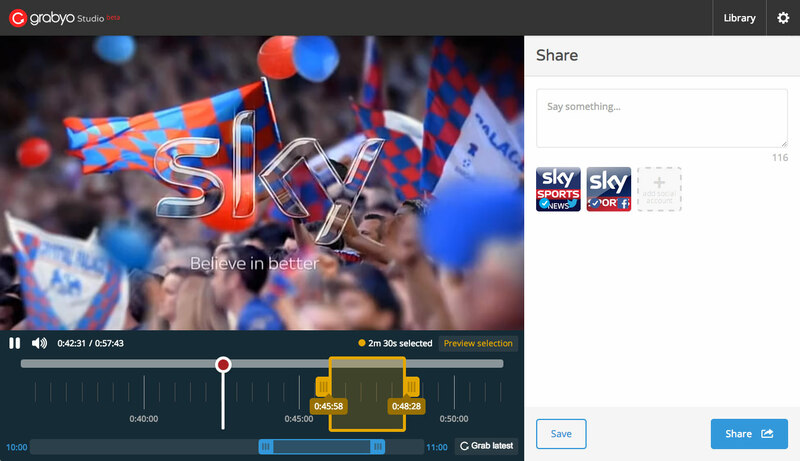 The tool allowed Sky Sports to "grab" sections of live TV and share them across multipe Twitter and Facebook accounts. The Sky Sports News team were able to easily select portions of the Sky Sports News coverage and share it with their followers on Twitter and Facebook through the use of an online tool. I designed it to be easy to use and it certainly helped Sky Sports as they attracted over 500,000 views.